When approached by Qatar Airways, the fastest growing airline in the world, Atmosphere was eager to impress its newest client with its innovative ideas. 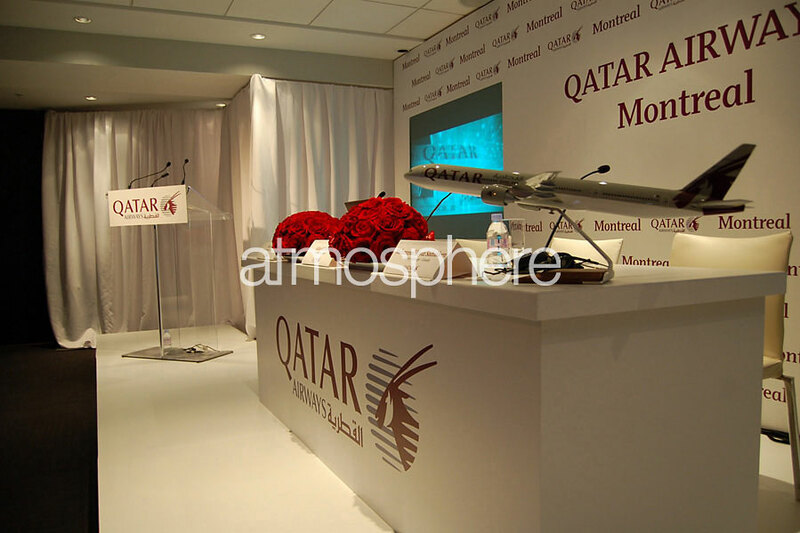 Their objective was to roll out a series of events to celebrate adding Montreal as Qatar Airway's newest destination. 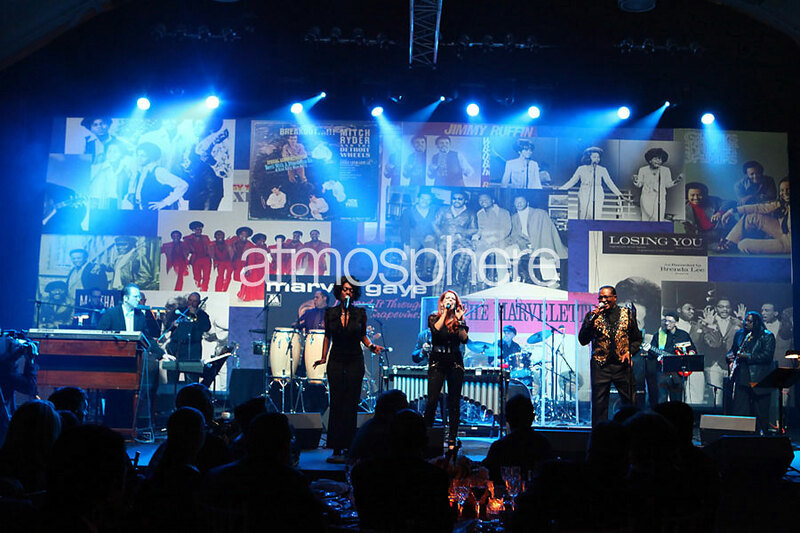 The Montreal events included a press conference and a luxury gala dinner. 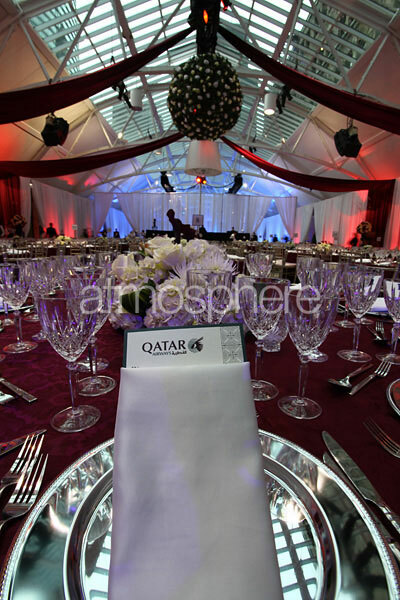 Of course, it was imperative that both events exuded Qatar's core essence, which is their 5-star image and upscale services. Roll out the red carpet! Qatar Airways introduced Montreal to their unparalleled luxury, hospitality, generosity, and fine dining. 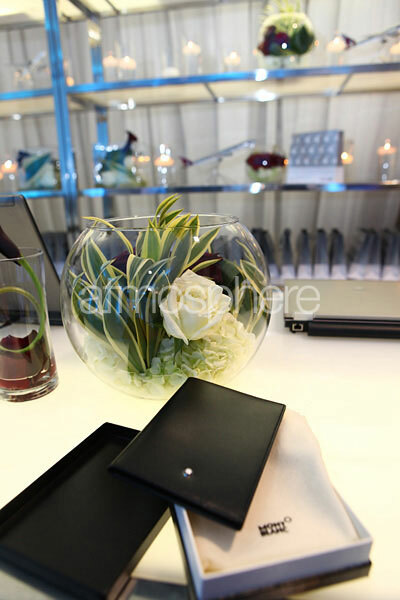 For the press conference, Atmosphere's expert production team designed a brand-relevant environment complete with custom-made sets. Each and every detail was flawlessly executed to ensure a positive impact on the public. 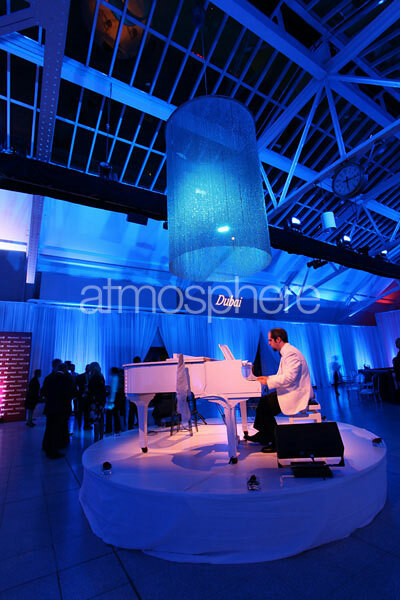 Next, Atmosphere transformed the hollows of Windsor train station into an intimate Gala venue that represented both Qatar's 5-star values and their devotion to the customer's experience. Three distinct environments were created to reflect the brand and positioning of Qatar Airways. 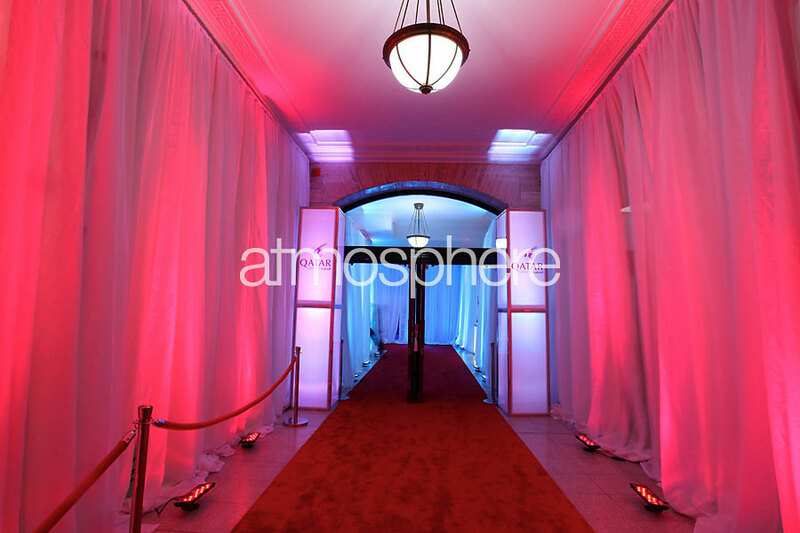 Starting with the red carpet arrival, Atmosphere designed a winding pathway lined with white curtain, deep blue lighting, and minimalistic branded highlights. This led guests to the check-in where they were greeted by cabin crew and hostesses. Following check-in/registration, guests stopped at the media wall to have their photos taken and were offered a glass of champagne. They then found themselves entering the Premium Lounge. They were served Middle Eastern-themed hors d'oeuvres by the crew and a wait staff of 30 in front of a candlelit 35-foot bar complete with a grass backdrop. 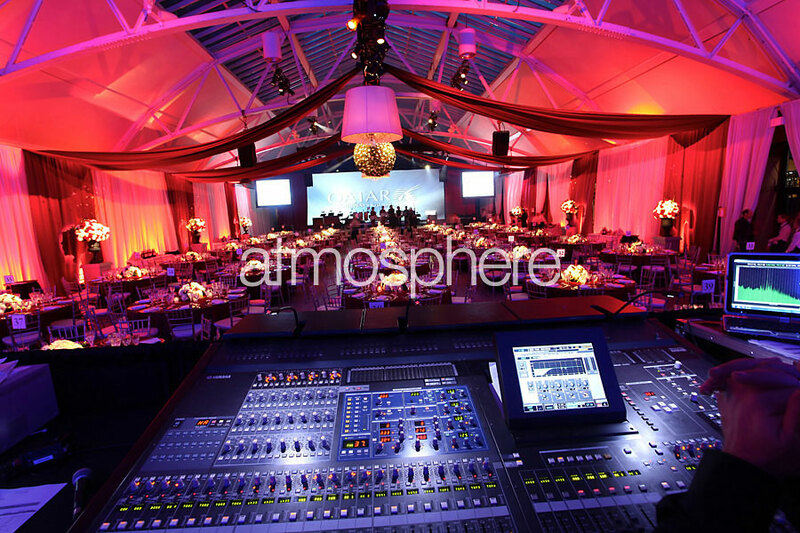 Surrounded by floor to ceiling curtain draping highlighted in blue, a jazz trio played on a white round stage. Around the room we used a variety of high-end furniture to evoke Qatar's premium lounge experience. Overall, our subtle use of lighting and Qatar's logo showcased a variety of the airline's top destinations, crucial to the selling of this brand. The guests were now ready to take off. Flight crew drew back the curtains to reveal a room draped floor to vaulted ceiling with Burgundy sashes from each of the 10-foot chandeliers. 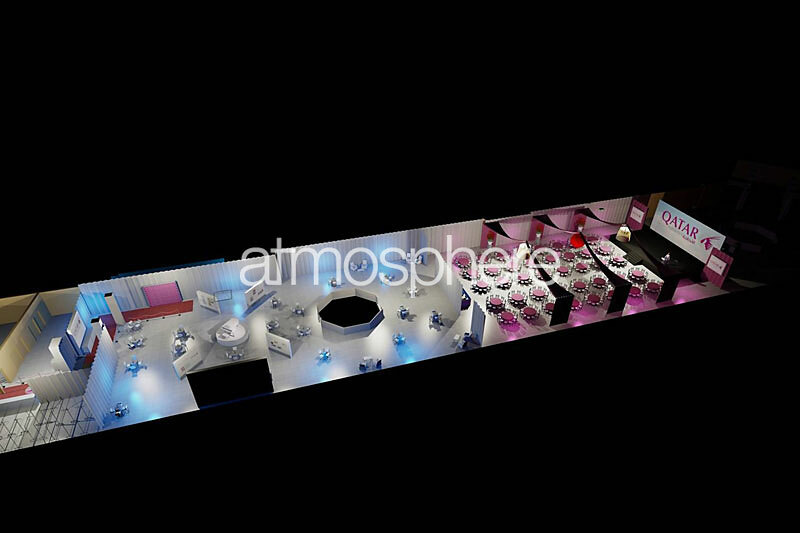 Tables were spotlit from above, allowing us to highlight the sophisticated centerpieces. Burgundy floor-length table linens were jewelled with silver chargers; cutlery and cut crystal stemware completed the elegant look. Enormous floral displays echoing the color theme were positioned on podiums around the room, and one large 8-foot round floral centerpiece hung from the ceiling, creating an overall look of opulence. 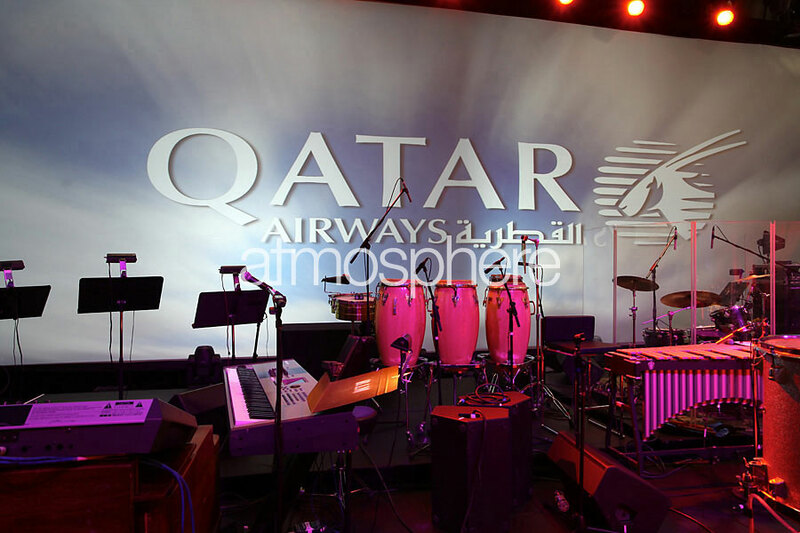 The Qatar Airways logo, written in cloud formation, was projected onto the massive video backdrop, symbolizing the journey that guests were about to embark upon. One final detail was the Molton Brown toiletries featured in all washroom at the venue, reminding guests that Qatar Airways spared no expense in ensuring that every aspect of their journey would be luxurious. 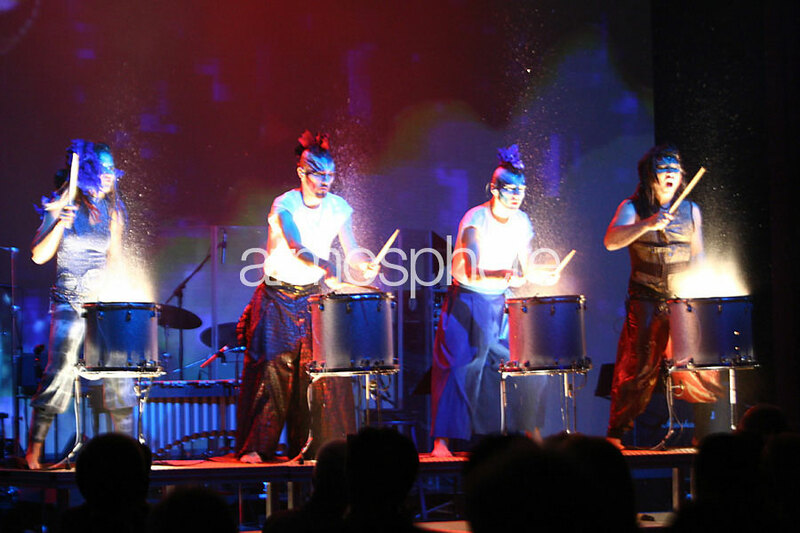 The Qatar Luxury dinner Gala Launch was a multi-sensory experience of impeccable design and innovative technology that achieved maximum engagement from the audience from start to finish. 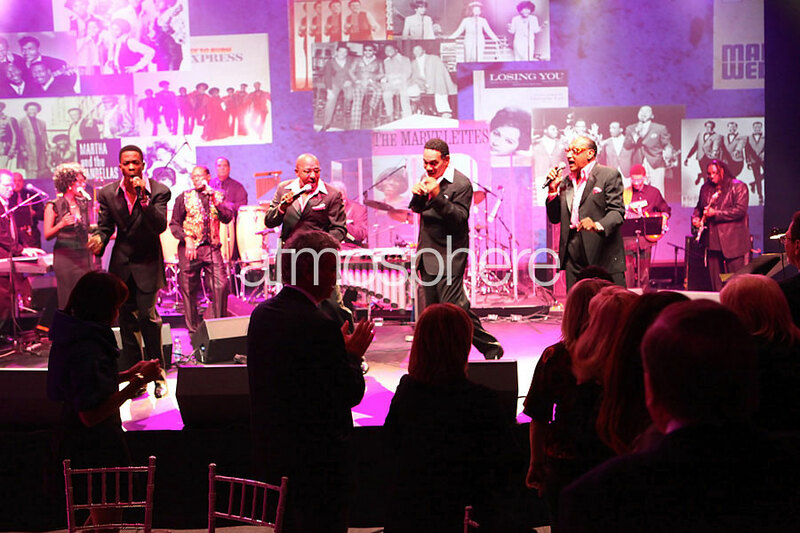 Atmosphere produced and presented a custom made video that gave participants the chance to 'fly' with Qatar Airways. They were immersed in all aspects of the airline, including the aircrafts, destinations, and the exquisite 5-star service. 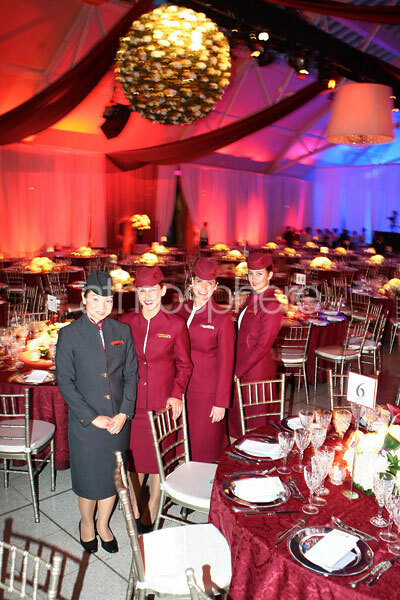 The dinner portion of the Gala mimicked the in-flight fine dining and luxury service that Qatar passengers experience. 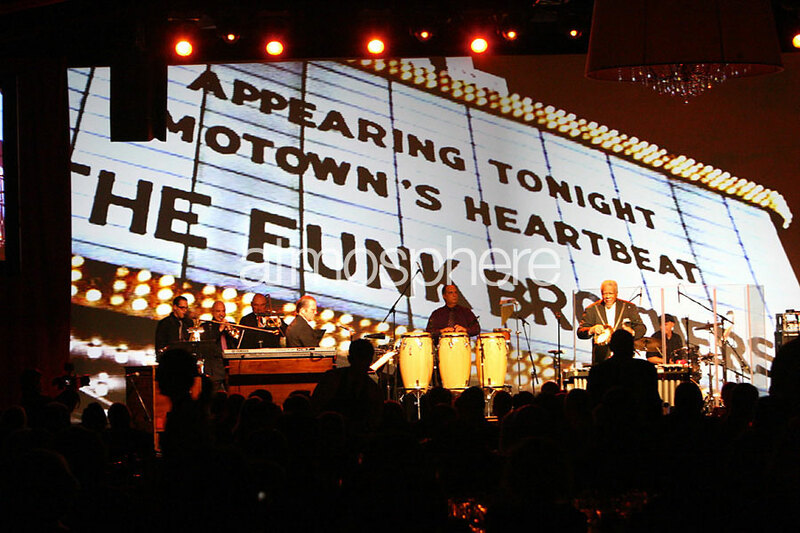 The evening's entertainment included a Motown performance featuring the iconic Funk Brothers Orchestra, The Four Tops and Quebec's own Lulu Hughes. At the end of the evening, all guests received a Mont Blanc passport, further exposing them to the generous nature of Qatar Airways. 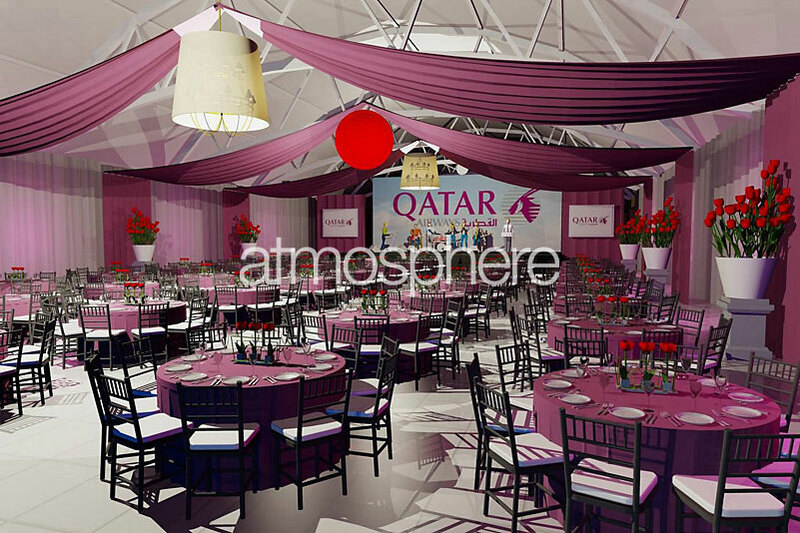 The Qatar Airways Director of Communications claimed the event was the best of its kind in the world, and many of the guests proclaimed the event was nothing they have ever experienced in both the travel and aerospace industry in the last 20 years.